Baby Alpaca dk to make a very pretty rib scarf they had on display.. it was so soft and gorgeous! 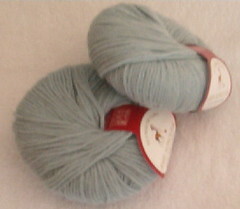 Koigu in the colorway P531, I thought these would make some very pretty socks! Jo Sharp's Hand Knitting Collection Book two. I fell in love with this pattern and I thought I would use the Bartlett yarn I got to do this instead of Rogue. 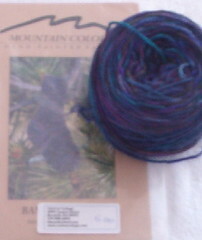 A Mountain Colors sock pattern to go with the Mountain Colors sock yarn I got a while ago. Hey, did I miss when you decided not to do Rogue? What happened? I love every baby alpaca in that plymouth line. 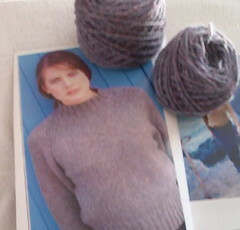 I love the mountain colors sock yarn. Wonderful color!